Summary: This is another white label re-branded robot. It's crazy to see how many of these are floating around lately. Today I’m taking a closer look at a recycled binary options robot, Automated Financial Markets. This software is promoted as a “free auto trading software” that is built to provide traders with a competitive edge over 99% of conventional traders. They claim to “put the expertise of seasoned brokers in your hands, giving you the confidence to make consistent returns in an ever-changing trading environment.” The talk sounds good, but can they back it up? The Automated.FM offices are unlisted and there doesn’t seem to be an email address or contact form, so it’s unknown how you can even contact the vendor for support. See all our software ratings listed here. The Automated Financial Markets developers want to push a very simple message to the binary options trading public. They offer a free $1000 demo account, and tell us that all we need to do to be successful is to join, deposit and trade. It’s really not that easy in actuality. The entire website is steeped in simplicity, and it’s not a good thing. Whether it’s the customizable indicators section, or the our features section, nothing is ever discussed in any detail. The message is basically, this works, so trust us and use it. The problem with this approach is obvious. Considering the amount of traders that have lost money using automated trading systems, it’s unfair to force traders to trust in a product that doesn’t provide any real information. Just yesterday I reviewed a software called iBinaryRobot, and upon further review, Automated Financial Markets is clearly the exact same product, just with a new name. I wonder how many traders have 10 copies of the exact same software losing under different names. Both these sales pages promote the exact same features, customizable indicators and provide no real information. There are no results for this product, and no real user reviews anywhere on the internet. Looking for a new take on binary options? Try listening to the latest episode of the Binary Today podcast here. I’d continue with the Automated Financial Markets review but I don’t see much point. I’m going to rate the product 2 stars for now, and I’m probably being generous because I just really don’t like doing 1 star ratings. There is no reason for you to signup with a software you already have, or signup with a software that’s already proven to be a loser under a different name. There are no positive reviews for any of these white label trading systems from real traders and it doesn’t look like this is going to change any time soon. Thank you for stopping by Binary Today and taking the time to read my review. 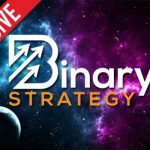 There are many systems and strategies in the binary options market that work to grow traders accounts, just make sure you have the right one.